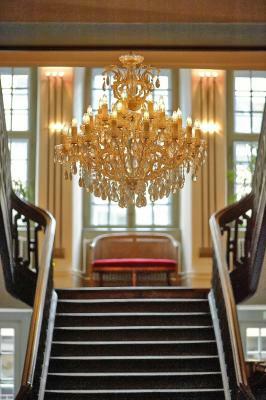 Lock in a great price for Sorell Hotel Rüden – rated 8.8 by recent guests! Staffs were extremely friendly, be it in the reception or during the breakfast. Few meters from the city centre and 2 min from the train station. Got a cold bottle of Prosecco to celebrate the Birthday! Large room with aircon: really a plus! Room is perfect for fit persons, a lot of steps to enter bathroom and to access the desk. Should be mentionned in the description. That was clean and cozy. The hotel looks amazing inside & outside and has delightful breakfasts. Excellent breakfast with local products, good selection of pillows, very friendly staff, historic building and feel. Staff was very helpful and thoughtful. 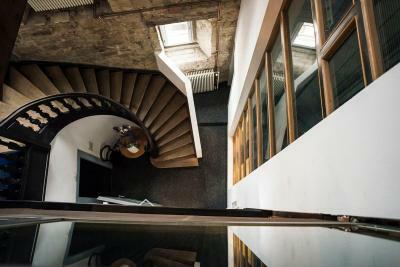 Great location- two blocks from train, right on the edge of city square and all activities- eating, shopping, walk to Rhine Falls or bike- near the path and clearly marked. Great air conditioning. Good breakfast, comfortable beds. Great position in the old town, and only a short walk from the railway station. Friendly personnel at reception and in the breakfast room. An atmospheric building full of character. Great place to stay in the olde Towne. Quick walk to train and dinning. Sorell Hotel Rüden This rating is a reflection of how the property compares to the industry standard when it comes to price, facilities and services available. It's based on a self-evaluation by the property. Use this rating to help choose your stay! Built in the 14th and 15th centuries, the prestigious Guildhall Rueden is a successful example of the architecture of this time. The refined façade allows you to forget the 21st century. In the interior however, tradition has been merged with convenience and technology to move with time. 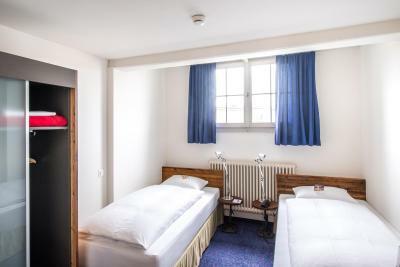 Sorell Hotel Rueden is situated in the old part of the city of Schaffhausen, just a 5 minute walk from the main station. Schaffhausen's surroundings offer beautiful countryside and Europe's largest waterfall, the Rheinfall. All rooms are beautifully furnished with private bathrooms, TV/ Radio, direct-dial phone, modem, wireless internet and hairdryers. 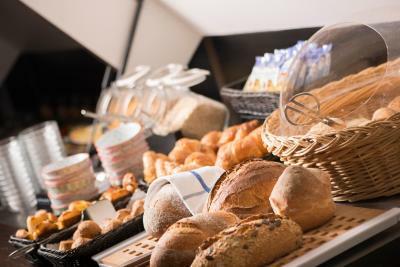 The Swiss continental style buffet ensures a good start to your day. 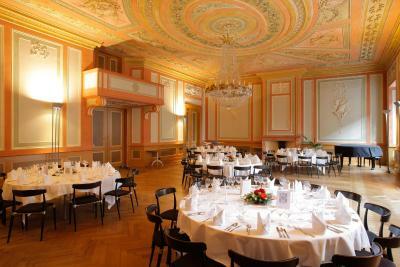 This property also has one of the top-rated locations in Schaffhausen! Guests are happier about it compared to other properties in the area. 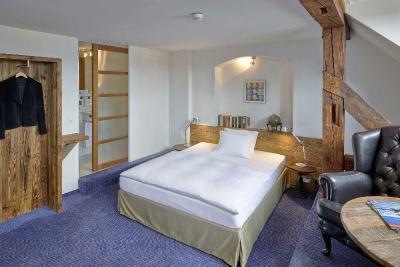 When would you like to stay at Sorell Hotel Rüden? 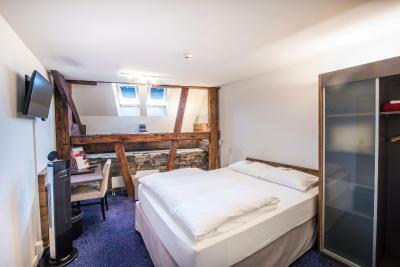 Rooms with single bed, some have stunning views of the old town of Schaffhausen. Furnished with a desk. 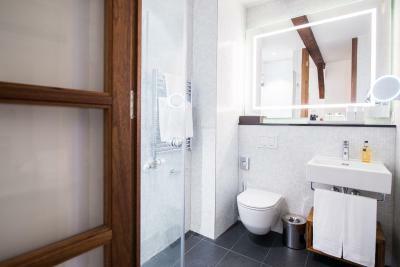 The furniture is made of antique wood and the bathrooms come with a shower, a hairdryer and toiletries. 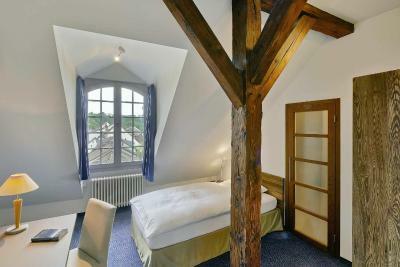 Spacious rooms, some with views over the rooftops of the old town of Schaffhausen. Furnished with a desk and comfortable chair or armchair. 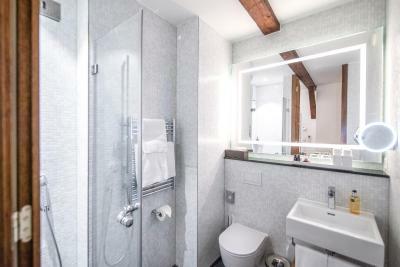 The furniture is made of antique wood and the bathrooms come with a shower, a hairdryer and toiletries. The windows cannot be opened. 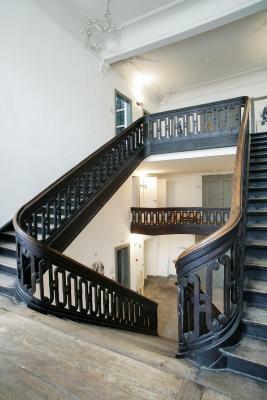 The rooms have a day-light and air conditioning. 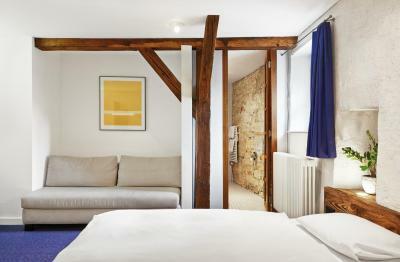 The furniture is made of antique wood and the bathrooms come with a shower, a hairdryer and toiletries. The spacious and quiet rooms feature a safe and a desk. 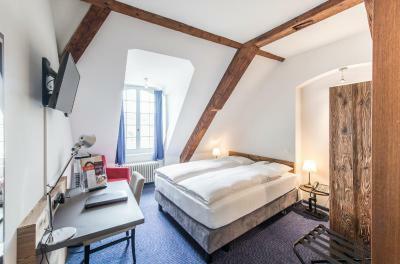 The furniture is made of antique wood and some of the rooms offer views of the old town of Schaffhausen. The bathrooms come with a shower, a hairdryer and Rituals toiletries. 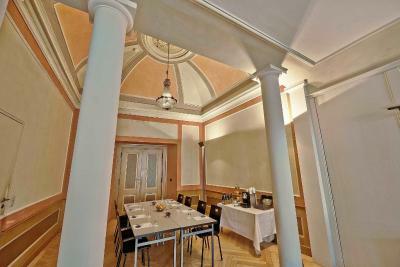 The furniture is made of antique wood and the bathrooms come with a shower, a hairdryer and toiletries. There is also a safe and a writing desk. 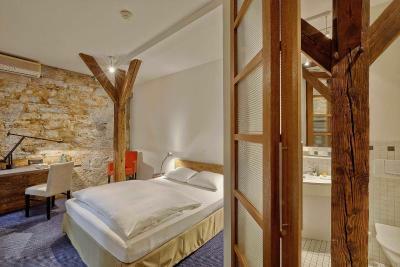 House Rules Sorell Hotel Rüden takes special requests – add in the next step! 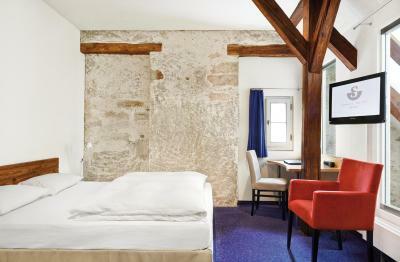 All children under 6 years are charged CHF 25 per night for extra beds. Sorell Hotel Rüden accepts these cards and reserves the right to temporarily hold an amount prior to arrival. Please note that the reception is open every day from 06:30 until 23:00. If you are traveling with children, please inform the property in advance of how many are coming and include their age. Contact details are stated in the booking confirmation. Freshly made to order eggs in the morning. 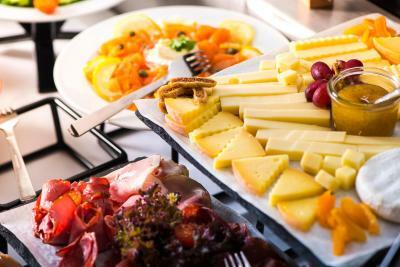 The buffet breakfast was the best we had so far and a lot of choice, the Bircher muesli was excellent and a wonderful choice of cheeses, cold meats and pastries. Also excellent coffee! 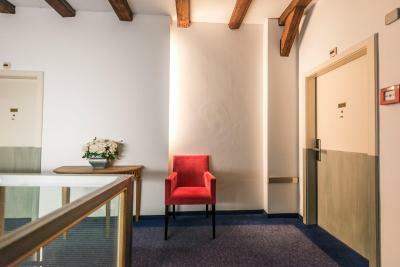 The room was very comfortable and an excellent location, two minutes to train station and close to old town, shopping, restaurants and museums. Couldn’t have asked for better service from the staff, they were very friendly and nothing was too much trouble. They suggested restaurants for dinner, and were happy to help us with a sewing repair kit and a kettle for room. We would highly recommend this hotel. 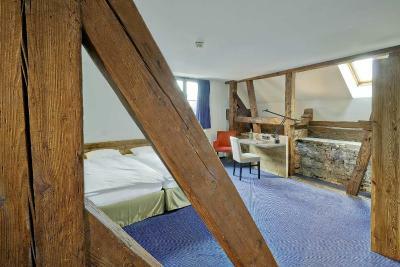 They have also done an excellent job of retaining some history of the old building yet a modern very comfortable hotel. Highly recommend this hotel! Not many TV channels... and only German speaking. As Switzerland has 3 national languages, they should also provide French and Italian channels and possibly a few English ones as well. Comfortable bed, very clean room, new bathroom, all perfect. Good breakfast, perfect location and the room was even provided with a hot-water bottle. Superfriendlly and helpful staff. Nice breakfast. Only one pillow. Sloping roof and beams on one side of the bedroom so had to be careful not to hit head. Good choice at breakfast. Great view of the town from bedroom window. Modern stylish decor. Staff very helpful and friendly. 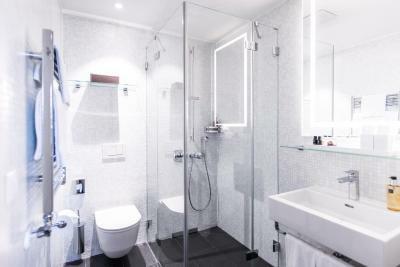 High standard of cleanliness and fantastic wet room. Great location in the town. The rooms were very small with little room to open up cases and move around the bed, but it was a bedroom up in the roof space and it was full of character. 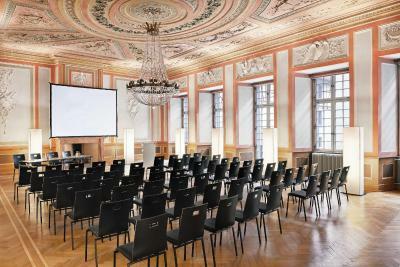 It is in a lovely little town and the building has been very nicely converted from the Town Hall into a stylish hotel. We arrived late one night and left early the next morning so didn't get much chance to explore. The breakfast was great and the common areas lovely. It is very handy for the station. The reception staff is really nice to me ，as a foreigner. and chinese， they help me for a lot. and hot tea for breakfast .the staff also recommend some good restaurant to me because i am fresh.the staff also help me to make appointment with dentist. The lobby is so.warm.like home The breakfast is good.especially i like the strawberry jam. The hotel is near the train station. I also.visit. the castle and.musume and also rhine falls on sunday So the hotel is best.chioce for you. Loved the building! The modern addition to an ancient building is incredible! The staff was great and friendly. The breakfast was excellent! A bit weak wifi connection on the 4th floor. Good wifi is crucial for me, when choosing where to stay. A very pleasant and adequate hotel. The AC in the room didn't work so they immediately changed the room. In the new room, there were only shower curtains, therefore little water was always spilled after every shower. Also, no bedside charging points in Room 307. I loved that it is a historic building and the tasteful decor that matches the antique features of the building. 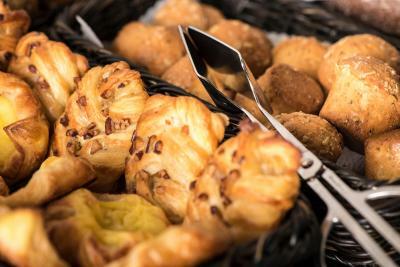 The location is fantastic and the breakfast plentiful with lots of variety of options. Very friendly staff. Stay here-you won’t regret it. The quiet was very welcome after a very long international flight.